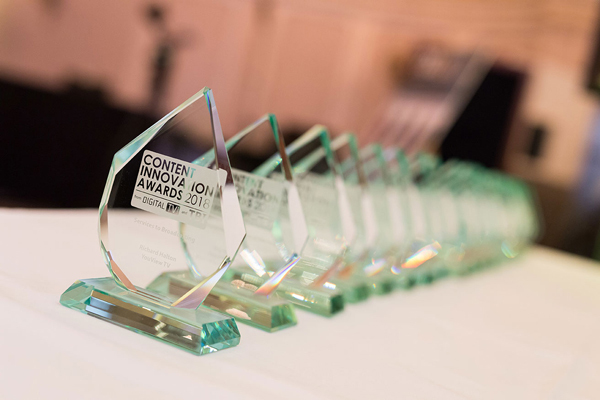 TBI’s Content Innovation Awards are back for another year and now open for entries to celebrate the best of global talent and creative content. This year the competition features an exciting range of new categories and a new panel of distinguished judges to decide which have been the most innovative, exciting and outstanding products, services and individuals of the last year. New categories for 2019 will include kids’ honours such as Best Animated Kids Programme and Best Live Action Kids Programme. Looking closer at factual, TBI has also opened a space for Best Documentary Series, as well as awards for Best Short-Form Series, Distribution Innovation, Representation on Screen and Branded Content of the Year. Returning categories will include Best Debut Drama Series, Factual Entertainment Programme of the Year, Factual TV Project of the Year and many more which you can find here. Furthermore, nominations for individual categories, including the Lifetime Achievement Award and Rising Star of Development, can be entered completely free of charge. The deadline for submissions is 3 July 2019. All the information you need to enter can be found in our entry guide. Winners will be celebrated at a gala dinner in Cannes on 13 October 2019 at the Hôtel Barrière Le Majestic. Click here to find out more on how to be part of the celebrations.